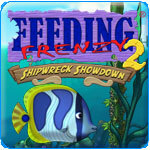 Games that include fish as a central part of the game. 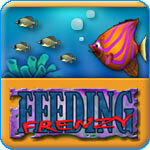 Feeding Frenzy 2 (pc) - Eat small fish to grow big and track down the shadow fish! 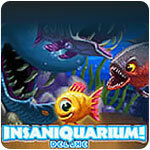 Insaniquarium Deluxe (pc) - Raise fish to earn money and protect them from alien attack!